This van has the plan and will take you on the perfect journey. (when connected to site 240V) or alcohol cooker, TV and DVD, inverter for 240V 1000w , Now has back door awning which clips over to allow the back door to remain open at nights with fly screen. There are 3 front seats as well as GPS and reverse camera. Plenty of cabinets and plenty of storage. Let us know if yo have any questions. We had just a blast with Nigel's campervan!!! Everything was organised and planned for the perfect road trip. The van is easy to drive and in a very good estate. Nigel's is someone caring and conscious. 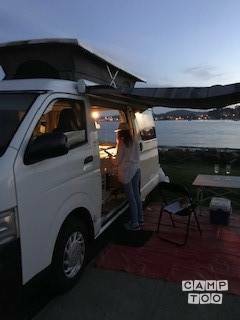 We really enjoyed the van and the freedom of being able to find a quiet corner of a lovely spot at the end of the day and just settle in for a quiet night! The van was great to drive and Nigel was easy going and helpful. Only problem was that we chose this van as it allowed us to take the dog, but our old golden retriever was a bit too big and not very flexible. Luckily it was hot and dry so she slept happily outside! The Van was in excellent condition and was more comfortable than I had imagined. Thank you I will highly recommend this Van to family and friends. I had an unforgettable 10 weeks in Nigel's Toyota poptop this winter. Drove solo from Sydney through to central Australia and back via Queensland. Loved the van by the end..hard to give it back! Nigel good to work with from the booking stage right through to the end..honest and laid back. Van was very clean and easy to manage on my own..no mechanical problems. Tyres needed replacing at one point and I organised a routine service during the trip. Nigel repaid these with no issue. I would highly recommend Nigel and his van! Van was what we expected, neat, clean & tidy with everything we needed. Bonus was the solar power as we went off the grid we had lights, fridge & we could still charge phones etc. 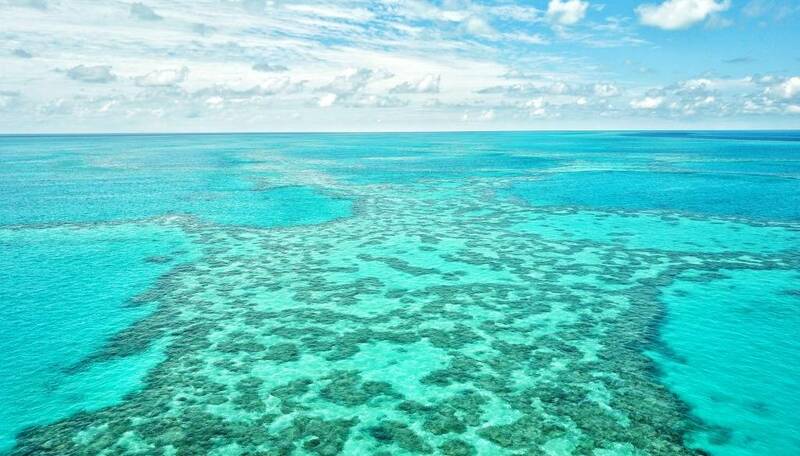 Will gladly book again same time next year. 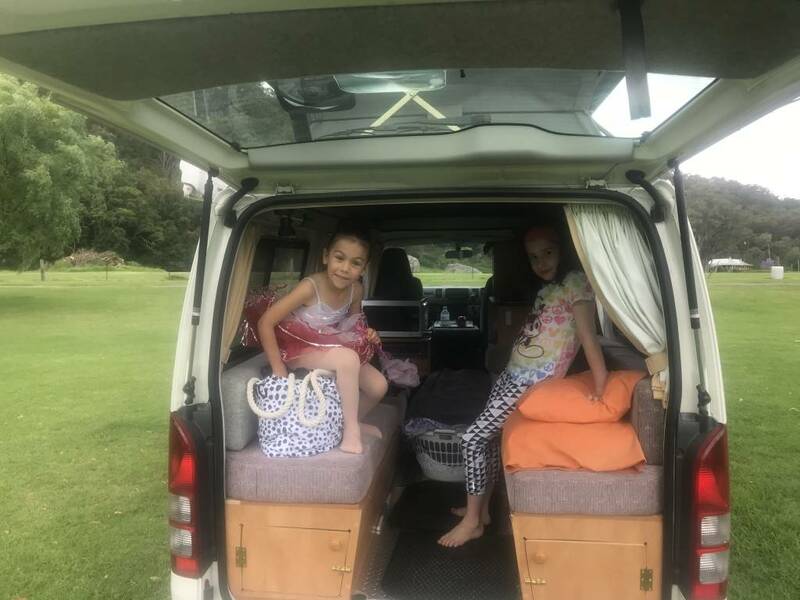 We enjoyed our holiday in Nigels Toyota Hi Ace Camper. It was a great way to see the coast and pop into various spots ,pull out the spirit stove and have a cuppa. It was a comfortable van and performed on the road very well. We travelled over MT Hotham on the summer roads and it easily travelled on those steep inclines. A little more storage space for cups, glasses and attention to some cutlery would be an addition but overall a very good experience and Nigel always answered texts and calls promptly and with courtesy. I had an incredible adventure, and I'd like to thank Nigel for being a part of this, always being a great person very polite and his camper van gave me the comfort and functionality that I needed. 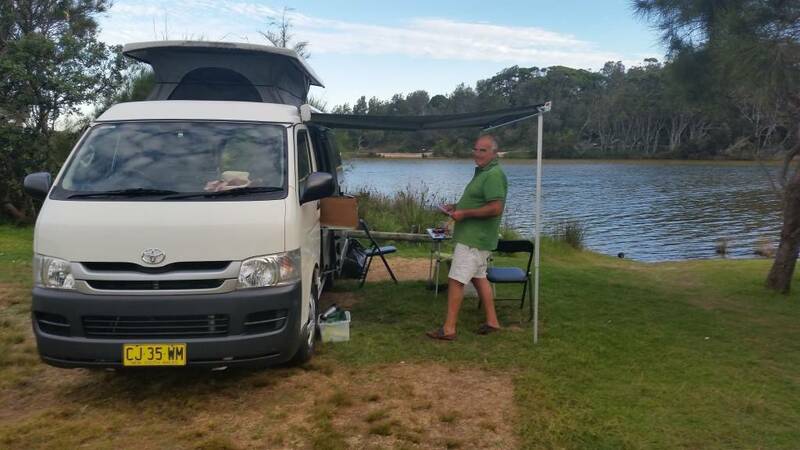 We had previous camping experience but this was our first campervan experience. Everything was perfect. Nigel is a true gent offering everything you could need for a great trip. Booking requests were answered within hours. Communication to get to Nigel's place simple / helpful. The booking process on camptoo really simple, with great follow up emails. Nigel really went through the van and how to operate everything throughout. The van was super nice to drive, really comforable to sleep in, and simple to whip up some nice food each day. There was a DVD player, television and DVDs availbile but we had so much fun in the great outdoors we never found the time to use it. 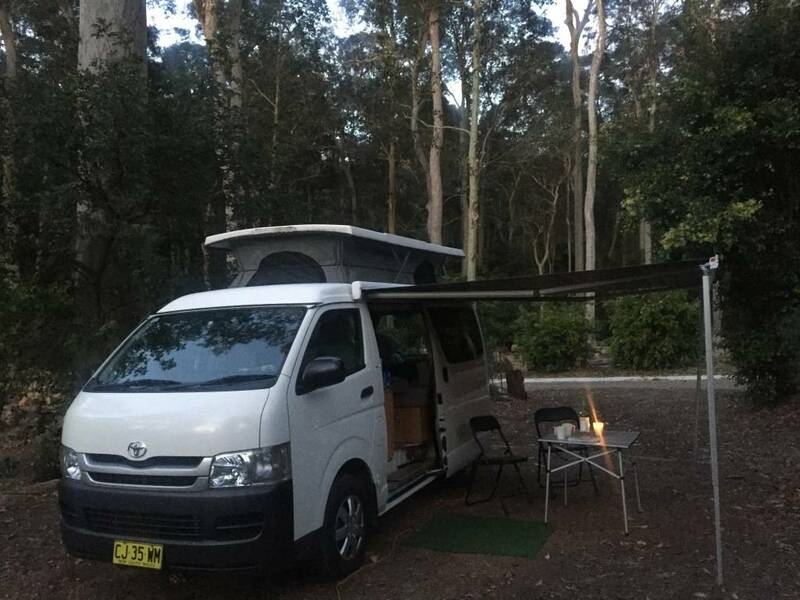 the Van is super new and clean, everything works perfectly and is perfect on any kind of road, even through storms and heavy rain (was a storm in Queensland for 3 days), the bed is comfy and easy to set up. 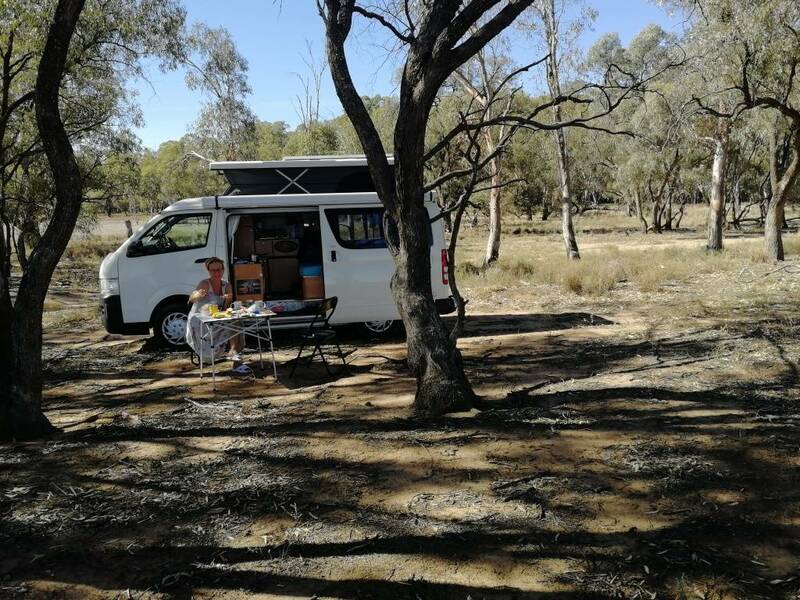 Our weekend trip with Nigel's can was really perfect, both because of the van itself and all the fittings, as well as Nigel's communication. Nigel was very generous in his communication, and we had some good funny conversations. He generously helped us with getting to his place (close to the station), and did a great explanation of the camper, which was personalised and PACKED with absolutely everything we needed, both when we had power and we're without it! Everything was so clean, and neat, and well-maintained, we we're on the road quick, and had an epic time. Nigel thought of everything we might need. We are recommending Thanks so much. Je kan de camper ophalen in Richmond bij Nigel. Je kan je auto hier gratis parkeren. Gorgeous wooden camper for 2.